"In addition to fixing my refrigerator, Jean even fixed a leaky kitchen sink that 2 plumbers couldn't figure out." -Mike M.
"Jean is the best repair person I've ever met. Period." -Ben M.
"He used to be an aircraft mechanic and can basically fix anything. I would use him again in a SECOND....call him!" -Robert H.
"Appliance Fixed! is such a find. Jean is great person who runs a great business that provides a critical service with vast knowledge and a friendly demeanor. He did such a good job I asked if he could fix my car's AC. Unfortunately he doesn't work on cars, but he did give me a primer on how car air conditioning systems work, which will make it easier to understand what needs fixing at the mechanic." - Allison R.
"Jean checked everything out. Nothing wrong, he explained what was occurring. He made a small adjustment and didn't want to charge since there really wasn't anything wrong with my oven. I insisted he take something! How rare when there are still honest people out there. Very nice man. 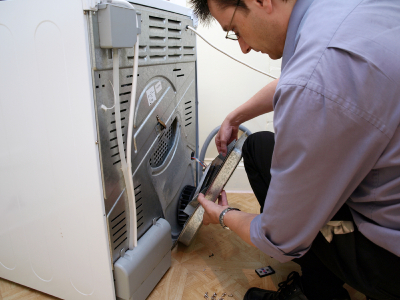 Would call on him again for ANY appliance repairs." -Joyce M.
"Are there really guys like Jean left in the world? Our washer is broken and I fully expected to get hosed by repair people, but Jean restored my faith in humanity. The diagnostic computer indicated a bad valve. We ordered it and Jean came back to install it. Washer continued to leak. He returned and figured out, it was a bad seal and a messed up bearing. No longer an inexpensive fix. He agreed that it probably wasn't worth repairing. He bought the part back, tore up the check we had written, and asked for 16 bucks!" 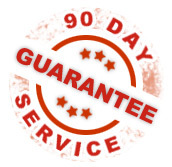 -Sherry M.
"Honestly, I cannot recommend any service provider as much as I'm doing so now. If you care about responsiveness, quality, integrity, follow-through, and trust in a service provider you've never met, who will be in your home, around your family, then call Jean." -David S.
"My washer broke, I called him and he was here within 2 hours. Unfortunately it was a terminal condition. I appreciated his honesty. Such a nice man." -Mary P.
"I called Jean in the afternoon and he came the next morning, exactly on time. No two hour waiting window here!" - Mary R.
"Contacted company, scheduled appointed for next day at a specific time, not a 2 or 4 hour window:)." -Joyce M.
"Jean came out (right on time, as always), diagnosed the problem, ordered the necessary part, and came back (on time again, naturally) to finish the repair. Simply put, this man is the best." - David F.
"He arrived on time, a minute early to be exact, 8:59am." -Jennifer P.
"He checked out my dishwasher thoroughly, and even gave me an easy cleaning tip so that the seals on the door would last longer. He diagnosed the problem, and it needed a new control board. Expensive part, but labor was very reasonable. Basically $500 dollars LESS than the other quote I received. He came back the next day, exactly on time, installed the part and made sure everything was working properly. Fabulous!" -Mary R.
"Jean came and pulled out a freakin' pillowcase out of my washer! I would not have believe it if I didn't see it for myself. Instead of $400+ that someone else said they would have charged me, Jean did it all under 30 minutes and I only paid $115! He even gave me some advice on the washer for easy repairs!" -Trang W.
"My tenant phoned on Tuesday mid-day to tell me how wonderful Jean was." -Jennifer P.
"...And, he picked up a lite bulb for the frig since he 'noticed it was burned out'.....super SUPER great guy." -Robert H. "...So let me tell you what we found. Not only was he available the next day, Jean is the kind of guy who after he fixes what he sets out to fix, you just might ask to stay for dinner. He is incredibly honest, trustworthy, nice, and an absolute pleasure to have in your home." -David S.
"Jean is THE MAN! Our GE Profile Oven would no longer work in convection bake mode. We had a different repairman come out (NOT from Appliance Fixed!) and do a diagnostic and estimate. He said the circuit board needed to be replaced (part price est $460), and also suggested an optional additional replacement of the convection fan as it was noisy (part price est $200). With labor, total for both would run $820, but we wouldn't have to pay an additional $80 for a 2nd trip charge if we did it within the next 30 days. How generous. Having a very bad feeling about this estimate, we turned to Yelp for references and found Jean with Appliance Fixed! I'm happy to report that our oven is working again for a total charge of $115 ($60 service call charge plus labor), a savings of $705 from the first quote!" -Mark F.
"...then he went to order, heard the price and decided to repair the part. He rang my doorbell & came back in and epoxied the bad part. Washing machine is no longer leaking." -Cathy C.
"He has a quiet, friendly style, communicates well, explains what he is doing and educates you in the process." -Mark F.
"He very articulately walked me through the troubleshooting steps he was taking to figure out the problem. Once he found the problem, he told me the solution." -Ben M.